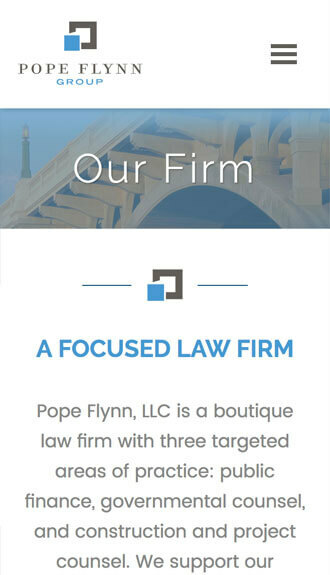 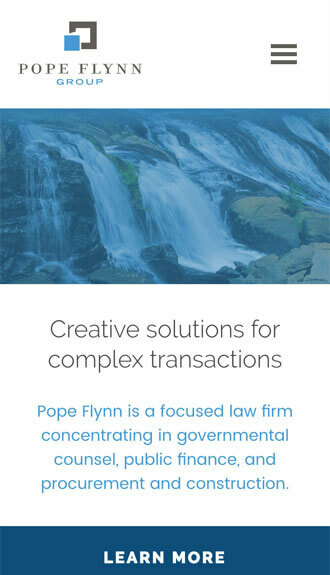 Pope Flynn is a focused law firm concentrating in governmental counsel, public finance, and procurement and construction. 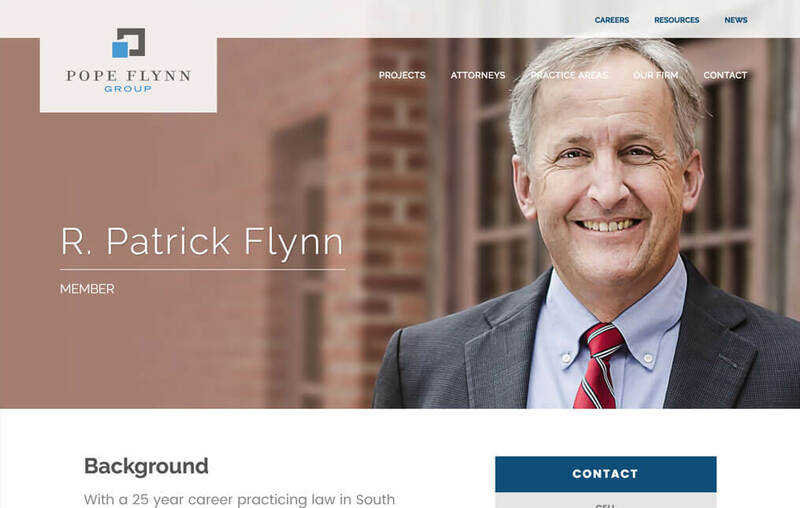 The firm approached Beam & Hinge to design and develop a modern and clean website with striking visuals emphasizing the firm’s expertise. 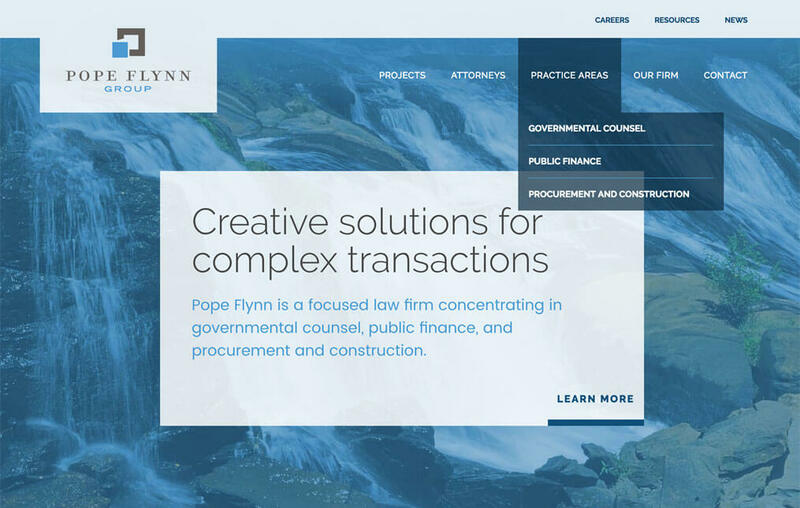 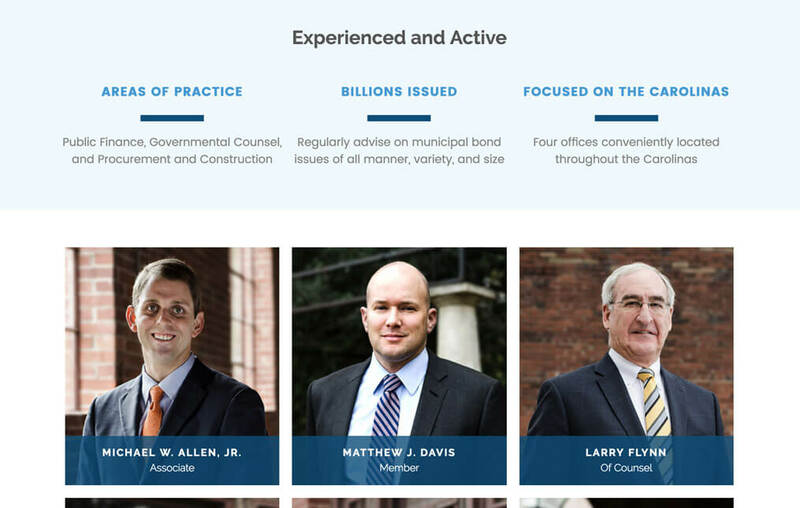 Complemented by engagingÂ photography highlighting scenes from the Carolinas, the Pope Flynn website showcasesÂ the capability of the firm’s attorneys and the complexityÂ of the projects they have executed. 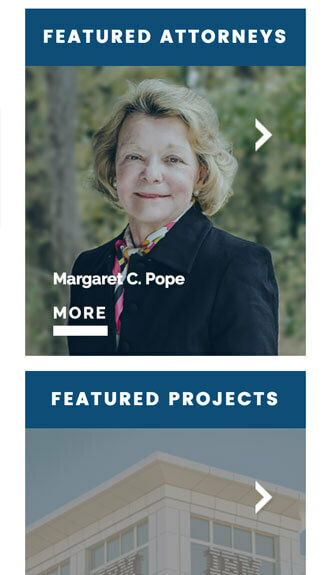 The church that helps people.